Apple recent­ly post­ed a notice that it is recall­ing the ultra­com­pact USB pow­er adapters that came with the iPhone 3G. 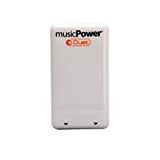 Users with ultra­com­pact pow­er adapters should imme­di­ate­ly stop using them until they exchange them for a new, redesigned ultra­com­pact adapter. I didn’t know about this till Big­gy men­tioned it last night. Sup­pos­ed­ly, AT&T sent a text mes­sage out as ear­ly as Sep­tem­ber 19th. I didn’t receive any­thing from them regard­ing the recall and wasn’t alone as some peo­ple I know also didn’t get it. I freakin’ have been using it quite often when I need to charge overnight next to my bed. Geez… that’s damn dan­ger­ous. Order a replace­ment adapter via the web. 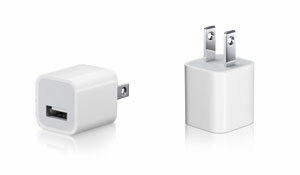 These replace­ment adapters will ship with­in three weeks of your order, start­ing on Fri­day, Octo­ber 10. 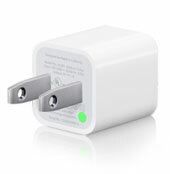 Exchange your adapter at an Apple Retail Store start­ing on Octo­ber 10. Good luck and be care­ful.